This is part of a fan survey I filled out this year, suggesting ways to improve New York Comic Con for next year, specifically the celebrity guest part. For the most, I really didn't have many criticisms. I was happy with the con, even if I was snubbed for a press pass and had to pay the blisteringly pocket-scorching $65 for a three-day pass. 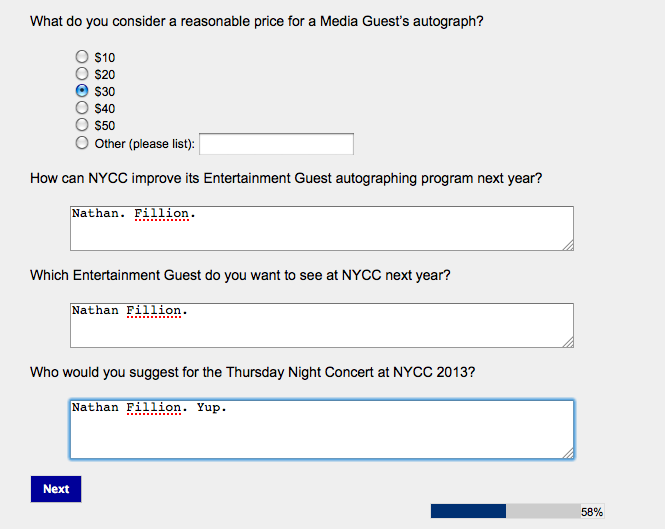 However, I may have had one suggestion that I felt strongly about.